If you are a mechanic, you know just how much storage space you need for all of your tools and parts. The problem often arises when you need a tool chest with many different features. 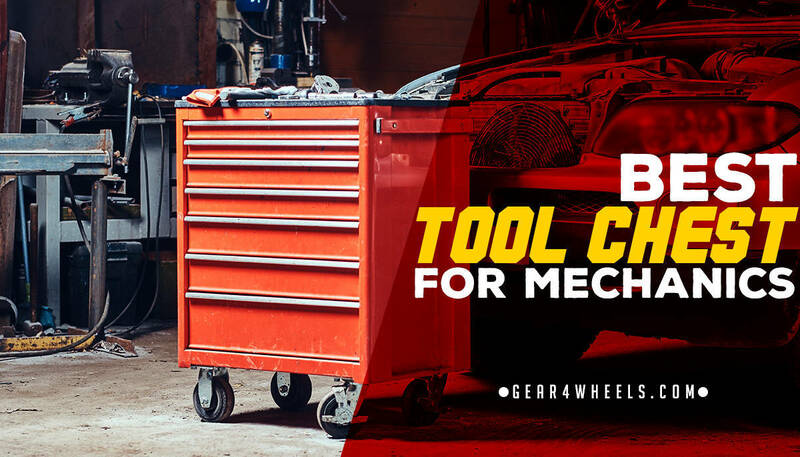 Well, today we are here to take a look at 3 top contenders, all of which might just be the best tool chest for mechanics. This is an extremely big, high end, and heavy-duty tool storage cabinet that is great for mechanics and many other people too. Fitting lots of tools and parts is what the Viper Tool Storage Tool Box does best. 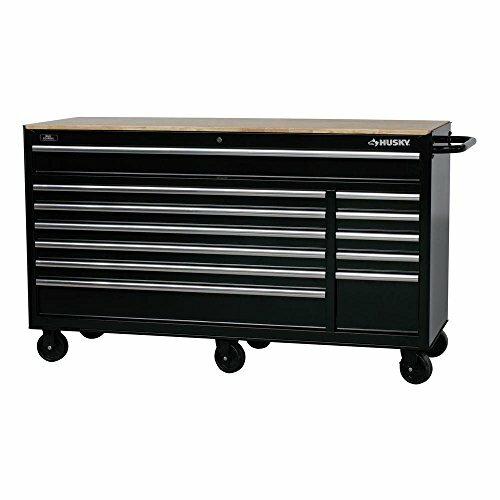 Extremely large and roomy mobile tool cabinet for mechanics, with many lockable drawers and lots of durability. The Viper Tool Storage Tool Box is without a doubt one of the best options for mechanics available at this time. First off, it comes with a total of 22 drawers, with everything from small drawers to extra-large ones. Make no mistake about it, this thing is very big, and it is very heavy. It is meant for at home or in garage use to store all of the tools and parts you could possibly need. Some of the drawers are great for small parts and some are ideal for large power tools. Each drawer is set on full extension ball bearing slides for smooth and easy opening and closing, plus each drawer can hold up to 250 pounds of weight with ease. The Viper Tool Storage Tool Box does come with wheels, so you can easily move it around the garage, plus the wheels lock so this big guy won’t move around all over the place by itself as you work. The wheels are set on heavy duty castors that are sure to last for a long time to come. It also comes with 2 side handles, so you can easily pull it around. All of the drawers can be locked with a single key so you know your tools and parts are safe. Nobody is getting into the Viper Tool Storage Tool Box without your permission. Moreover, there is the option for a power strip on the inside, so you can plug in your power tools with moving around too much, which is quite convenient to say the least. 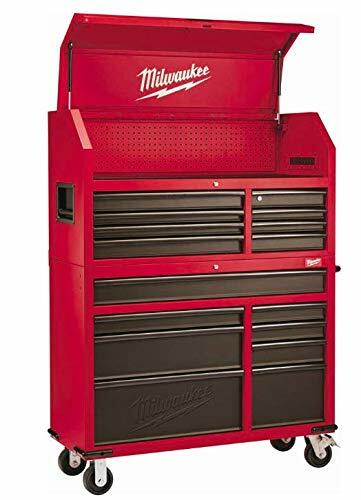 Milwaukee is a fairly high end brand name that never fails to deliver spectacular products such as this Milwaukee Heavy Duty 16 Drawer Tool Chest. It might not be quite as big as the first option, but it still a great buy. Lockable and mobile tool chest and cabinet combination with 16 drawers, a strong build, and lots of space for tools. The Milwaukee Heavy Duty 16 Drawer Tool Chest actually comes in 2 parts, consisting of the top tool chest and the bottom mobile tool cabinet. They can be separated from each other when you need them to, which is pretty convenient no doubt. If you need to, you can put the essentials in the top chest half and take it with you on the go. Combined, there are a total of 16 drawers, ranging from small and narrow ones to large and wide ones, plus of course there is a fair amount of room for tools under the lid too. It’s a great option if you need to store parts, both small and large, hand tools, and power tools too. The Milwaukee Heavy Duty 16 Drawer Tool Chest even comes with a pull out drawer specially designed to hold your laptop, something that is quite important in today’s world of technology. The drawers are all set on heavy duty ball bearing slides, which helps them open and close easily, but they do have a mechanism to stop them from opening and closing on their own. Each slide can hold as much as 100 pounds. The lid has gas struts to make it very safe when opening and closing. Speaking of the lid, this whole thing is lockable with a 3-barrel key lock system so nobody can get their hands on your tools. The lid also comes with a power bar charging station, so you can plug in your tools without leaving the work station. The whole thing is made of very durable steel and can support a total of 1,800 pounds of tools, which is very impressive to say the least. Husky makes some great high end products and they definitely have not failed to deliver with this Husky Drawer Heavy-Duty Tool Chest. Huge mobile tool cabinet with tons of drawers, a solid build, and a whole lot of capacity for tools and parts. The Husky Drawer Heavy-Duty Tool Chest comes with a total of 12 drawers, including 5 small ones, 6 medium ones, and one very large drawer. The different sizes are great because it means that this tool cabinet is ideal for everything from small parts to large power tools. It can hold everything you need for a day at the job thanks to the near 30,000 cubic feet of storage space. The drawers themselves are held on high quality ball bearing slides, making them easy and smooth to open and close. 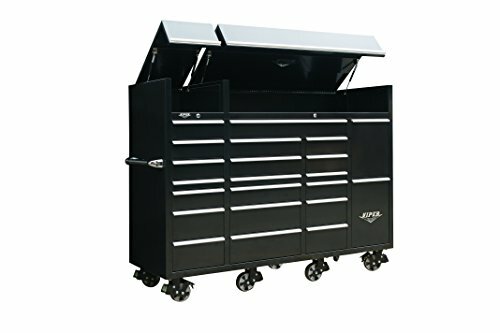 The Husky Drawer Heavy-Duty Tool Chest is set on large swivel casters which help make this big guy a little more mobile. Some of the wheels can lock so that it does not move all over the place by itself while you work. Speaking of locking, the Husky Drawer Heavy-Duty Tool Chest comes with a dual key locking system to make sure that nobody steals your tools. This big guy is made of high quality steel combined with a powder coat finish for the ultimate in durability. When it comes down to it, we would recommend the Viper Tool Storage Box. It is absolutely massive, has tons of storage space, a charging station, a good locking system, and so much more. Great list to help buy a new tool chest. I wish I would have had this before we bought my dad his tool chest for Christmas. I especially loved your Pros and Cons at a glance list. Very helpful. I think I would have gone with the Husky Drawer for my dad though. Thanks for the list! Now I know for next time.